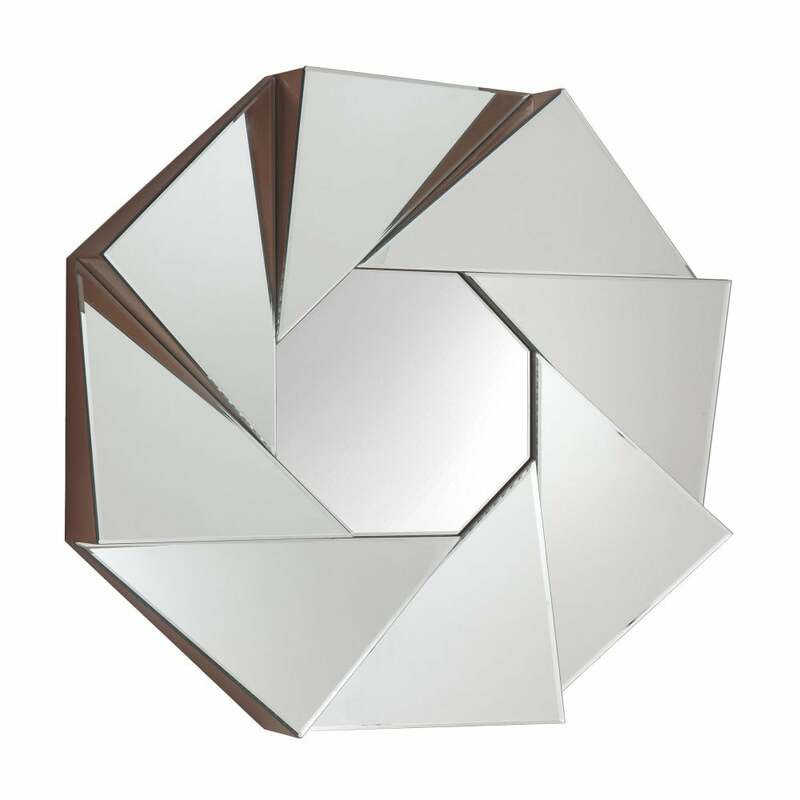 Designed in conjunction with renowned interior expert, Thomas Griem, the Apetural mirror from RV Astley. Mirrored geometric triangle detailing interlocks around the outside of this dramatically designed mirror. The 3-D design on the Apetural mirror enables all sections of the statement mirror to beautifully reflect and refract the light to all angles. The RV Astley mirror could be incorporated into an entrance or hallway above a console table. Style in a bedroom or living room with complementary polished nickel accessories for the ultimate luxury look.